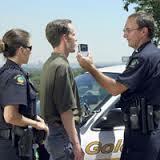 DWI violations and Refusal charges are always treated seriously by New Jersey law enforcement, prosecutors, and judges. This is doubly true when the violation occurred in an area where children are present because the State has a duty to protect children from harm or risk of injury. As a result, you could be looking at significant penalties if you are convicted of Refusal in a School Zone. The DWI defense attorneys at our firm understand that your ability to drive, legally and without limitation, is very important. That’s why we will do everything possible to defend you against your Refusal charges and help you maintain your driving privileges. We represent clients in Essex County courtrooms on a daily basis. Whether you have been charged with a first offense DWI in Newark, a DUI in Bloomfield, or Refusal in School Zone anywhere else in Essex County, we can help you. Call 201-654-3464 to discuss your case. The penalties for Refusal are already enhanced when the violation occurs in a school zone; however, these penalties can be even more severe if the offender has previous DWI or Refusal convictions. Additionally, any sentence handed down for a Refusal violation will probably be tacked on to separate DWI charges because judges are allowed to impose these sentences consecutively. Our Driving While Intoxicated defense team includes a certified Alcotest operator, a former county and municipal prosecutor, and a former New Jersey State Trooper who was trained in field sobriety testing techniques and procedures. Let a member of our team help you beat your Refusal in a School Zone charges. Call us today at 201-654-3464, or email us to schedule a no-obligation meeting at our office in Newark, NJ.